Our breeding pair 20/ 2019 is updated at our web page and consist two new added One loft Racers from 2018. The sire «Thunder 103» is from our own loft Helgesen Racing Pigeons, and this bird raced in Talent Quatro 2018 419km). 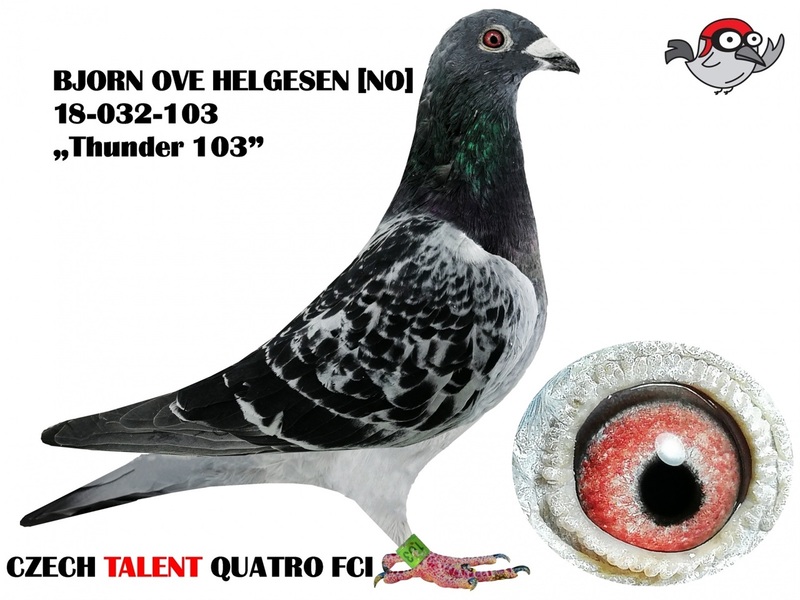 The hen «Lady Drevsjø» won 2nd prize at Drevsjø 2017 (450km) in section 14 Norway.